Under the relaxation of the planning scheme under Ipswich City Council, there is no minimum land size for the building of a Granny Flat. However there are some logical approaches to it such as side or rear yard access. Other considerations include existing gardens or large trees. At this point in time there are no tree preservation orders in place within the Ipswich LGA. But if you have your heart set on a particular property that has a magnificent mango tree in the backyard (something we from down south much admire! ), it’s not much use if you are considering it as a Granny Flat proposition. In our due diligence we investigate all aspects of a Granny Flat development, and this is part of our process. There are standard requirements for setbacks from water and sewer mains as well as other services that need to be adhered to. Just because a sewer main runs through the middle of where you want to build, doesn’t necessarily mean you can’t build, but can add substantial $’s to your total end cost. 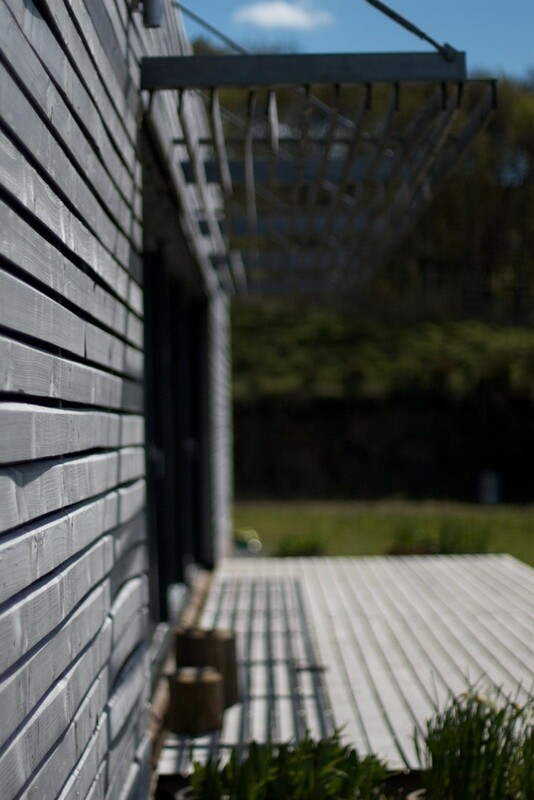 It’s always a good thing if any property has rear year access particularly if you are building a Granny Flat in the back yard – otherwise how does the delivery of building materials happen, or how do the tradies themselves get their vehicles in the backyard for that matter. If access slows down delivery, this can add several thousand dollars to the project. 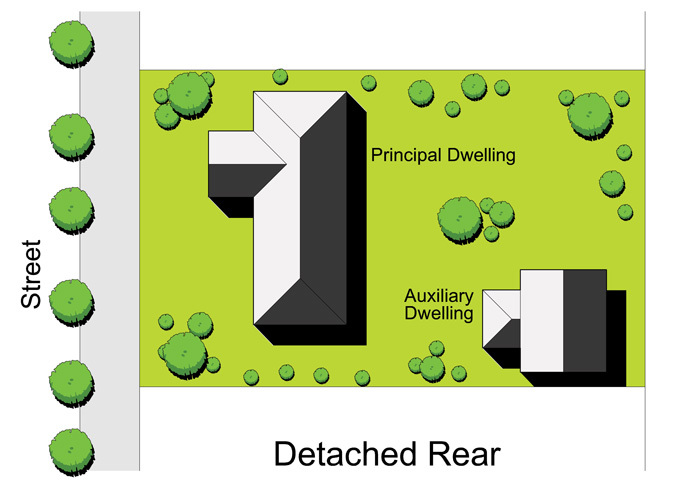 The most common rear yard access is due to garages at the end of the existing driveway. As with any new build or development the fall of the land is hugely important. It’s always recommended that the land slopes to the road, as the council requires drainage back to the kerb and gutter, unless you can tap into a storm water drain on the property or an agreed neighbour. You may in some instances negotiate with the council for a rubble drain, but this in itself is a long, slow costly resolution that is difficult to attain. So your best option always is to find a property that is either flat or slopes to the road. I personally like corner blocks as it’s relatively easy for your two separate access points for parking/ entrance to each property. Always look at the backyard on these properties, as they often have only a small yard. As Ipswich City Council has no minimum land requirements for a Granny Flat this can still be achieved on a relatively small size block! A great number of corner properties in Ipswich already have the second slip way (driveway) in place, making it a great start for your Granny Flat project. If you are looking for a property with a future Granny Flat in mind, I think the above covers the main considerations within our Ipswich City Council planning scheme. And if you need assistance in finding that right property, we here at Ipswich Granny Flats offer a Buyers Agent Service to take the headache out of it all. We are licenced real estate agents here on the ground in the local Ipswich area – we live and breathe property.